Wedding Peach (愛天使伝説ウェディング・ピーチ Ai Tenshi Densetsu Wedingu Pīchi?, literally "Legend of the Angel of Love: Wedding Peach") is a shōjo manga by Nao Yazawa and Sukehiro Tomita that was originally serialized in Shogakukan's Ciao magazine. In North America it is translated and published by VIZ Media in its entirety, comprising six volumes. The manga later was adapted into an anime television series that was directed by Kunihiko Yuyama and ran for 51 episodes on TV Tokyo from April 5, 1995 to March 27, 1996 as well as 2 omakes : Ai Tenshi Robot: Wedding Peach and Ai Tenshi Sentai and spawned a 4-episode OVA sequel (Wedding Peach DX) in 1996. 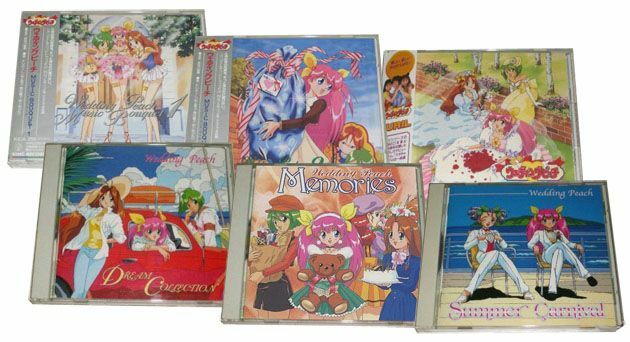 The anime (which is co-produced by KSS, TV Tokyo and NAS) is licensed for distribution in North America by ADV Films, and they have released both the TV series and OVA series onto a total of ten DVD volumes. 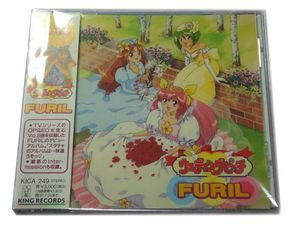 In 2004, Wedding Peach: Young Love was released, a compilation of Wedding Peach stories made specifically for the monthly magazine Shogaku Sannensei ("Elementary School Third-grader"). To better fit the magazine's target audience, the "Young Love" version of Wedding Peach features younger-looking characters, less complex storylines, and simpler dialogue. The story follows Momoko Hanasaki, a junior high school girl who is in trouble between the Angel World and the Devil World. 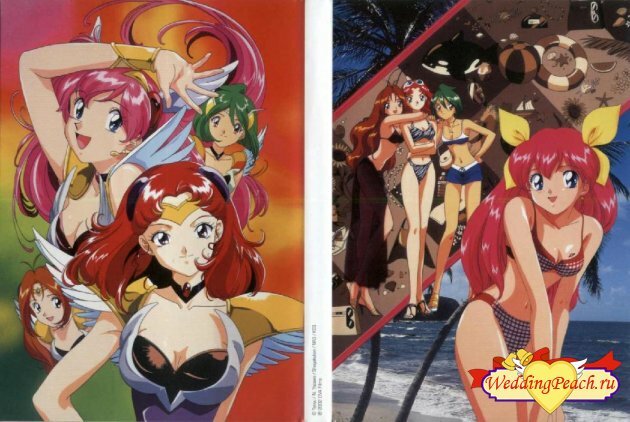 It all starts when Aphrodite tells Momoko that she is the legendary Love Angel Wedding Peach, and that she will take the place of her mother, Sakura, in finding and protecting the "Saint Something Four", after a devil named Pluie tries to steal Momoko's mother's ring. Now she must protect the sanctity of love from Raindevila and her minions. Her friends, the other Love Angels, are Yuri Tanima (Angel Lily) and Hinagiku Tamano (Angel Daisy). She also has Jama-P, who originally was a minion of Raindevila. Momoko is in love with Yosuke who is, unknowingly, a half-devil warrior of the Rafaal tribe in the Devil World named Viento; Yosuke's father, coincidentally, is the one who sent Celeste (Sakura) and himself to Earth in the first place. Yuri is in love with Captain Yanagiba of the soccer team, otherwise known as the angel Limone.